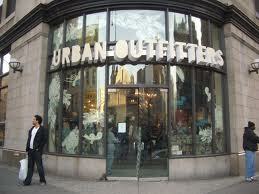 Global fashion chain Urban Outfitters has enraged its customers by calling them 'upscale homeless persons' in a meeting with Wall Street investors. Details from a September analysts' meeting have emerged this week that evidence hilarious/appalling levels of disdain towards Urban Outfitters' target audience. CEO Richard Hayne went so far as describing his core customer demographic as one level above homeless on the consumer scale, renting rather than living on the street. All those who shop at the high street chain, prepare to be insulted. 'The Urban [Outfitters] customer, we always talk about, is the upscale homeless person, who has a slight degree of angst and is probably in the life stage of 18 to 26,' revealed Hayne, addng, 'The Urban customer is really dressing to attract a mate.' MT thinks that means, 'trashy'. But the piece de resistance really comes from Sue Otto, an executive director at the firm, who joked that after 31 years studying customers of the brand, she had racked up more experience than Jane Goodall, the famed anthropologist who researched chimpanzees for 50 years. Of course, those chimpanzees weren't spending good money on Goodall's wares. This might seem to be a strong contender for the next 'Ratner moment', but boss Hayne has said it all before and got away with it. Perhaps his punters don't mind..?